I have one excellent press sample polish to show you today... it's part of The Polish Pickup - a facebook group where makers create polishes inspired by a monthly theme. 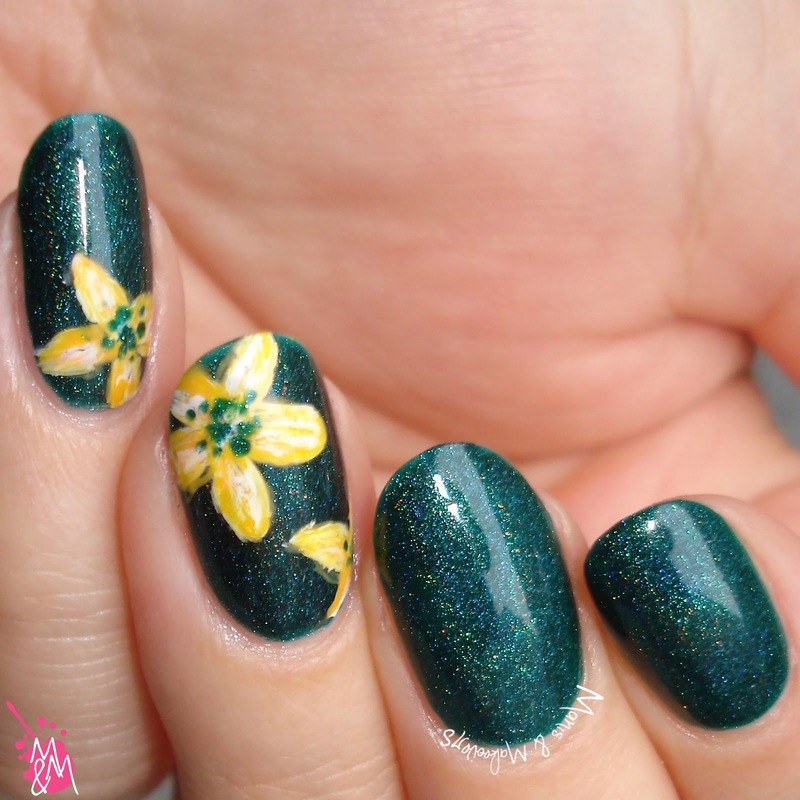 The polishes are then sold in the Polish Pickup store at the beginning of each month. 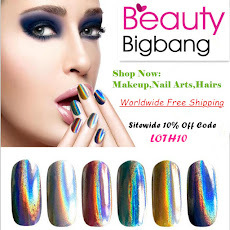 You get to pick which polishes you want and you pay a flat rate shipping cost of $3. Today is Blue Monday - the most depressing day of the year. However, since blue is a beautiful shade, why not celebrate with a manicure and try to beat those blues? I took one out of the vault, since I had to work today, which is why my nails are still square here, lol. During this challenge, I realised I have a lot of untried glitters. Therefore I decided to use one that I never really knew what to do with: China Glaze "Ray-Diant". 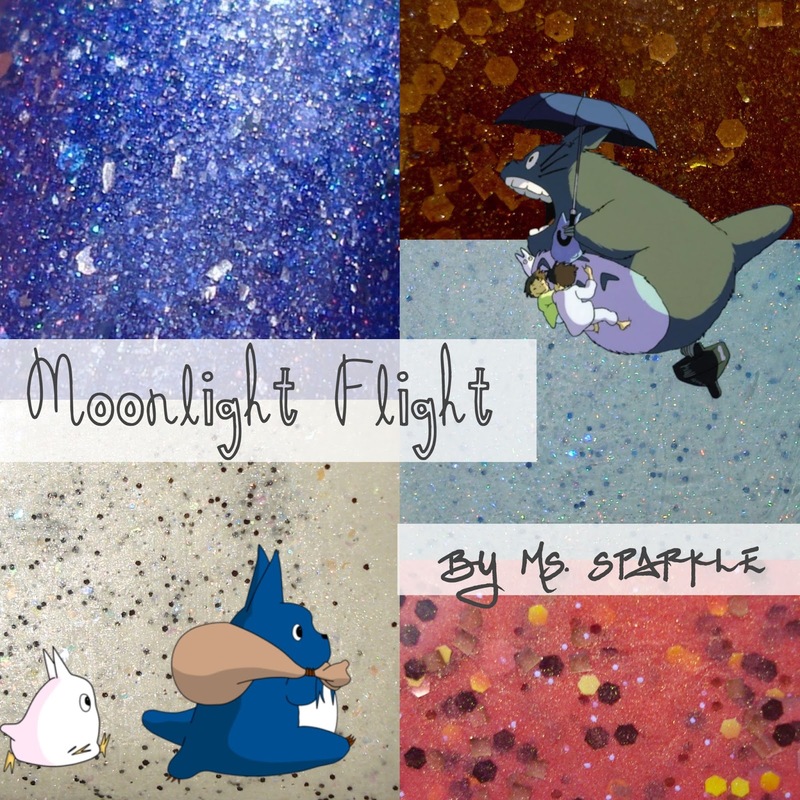 Time for the rest of Ms. Sparkle's Moonlight Flight Collection! Part 1 was awesome and I promise part 2 is also excellent. Another cool thing to do with glitter is lead lighting! We're off to a good start this year when it comes to our Digit-al Dozen Challenge, because we're doing All That Glitters! I'm starting with a beautiful microglitter polish "Sun Soaked", a rose gold texture filled with gold microflakies and pink holo glitter. Friends on Friday - Holiday Fun! Happy New Year! 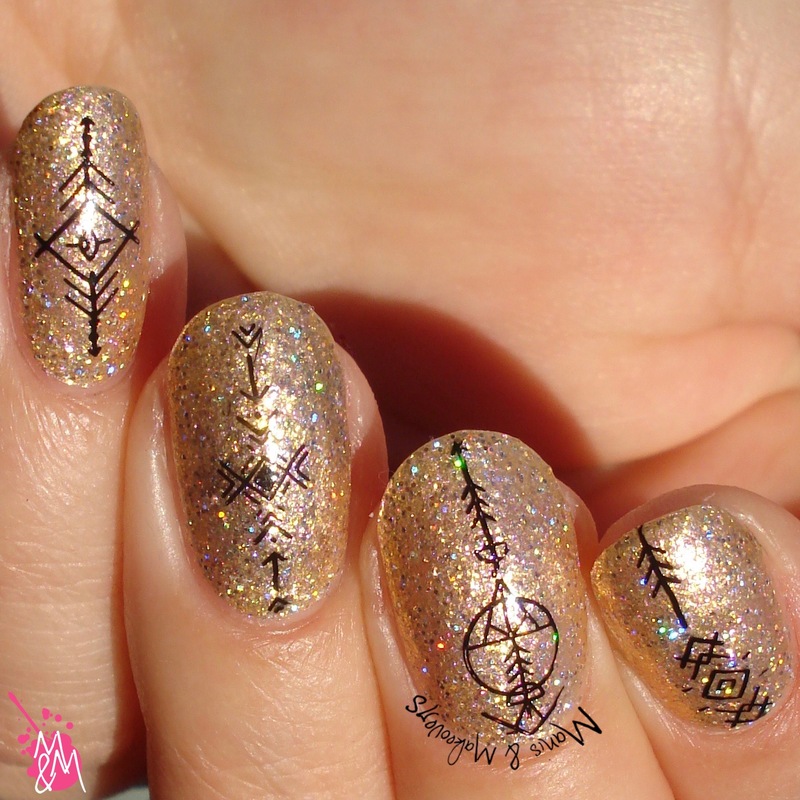 My new year's resolution is getting my blogging mojo back, so I'm starting with a Friends on Friday issue, since I love doing other people's nails so much! 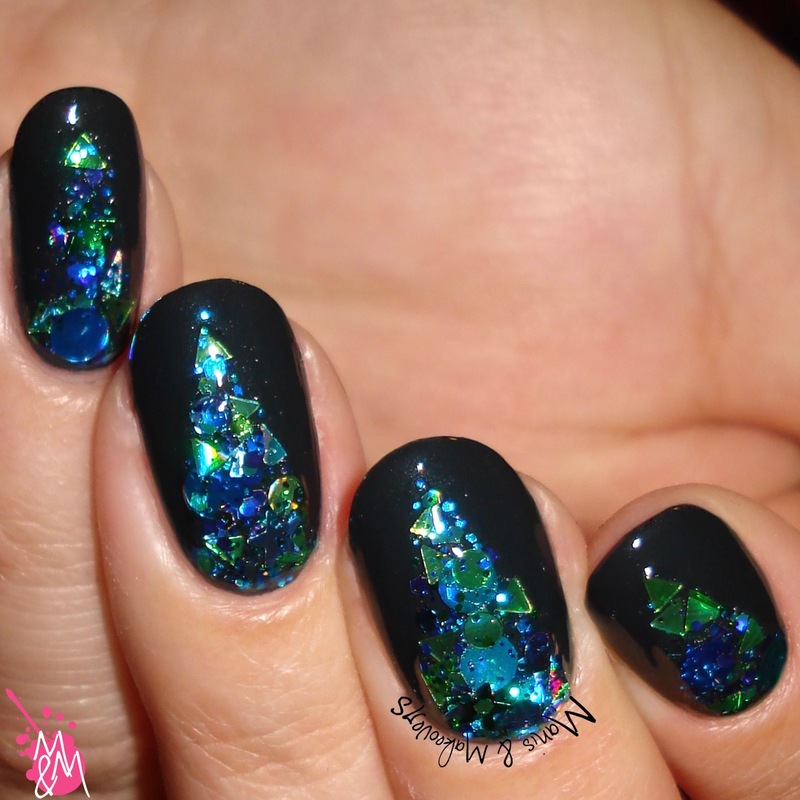 During the holidays I brought my nail art supplies to my family and did my sister's and my friend's nails. I had brought all my cute holiday stamping plates, but had forgotten my stamper. I looked everywhere for a spare, but no such luck. So I had to get creative the old fashioned way! 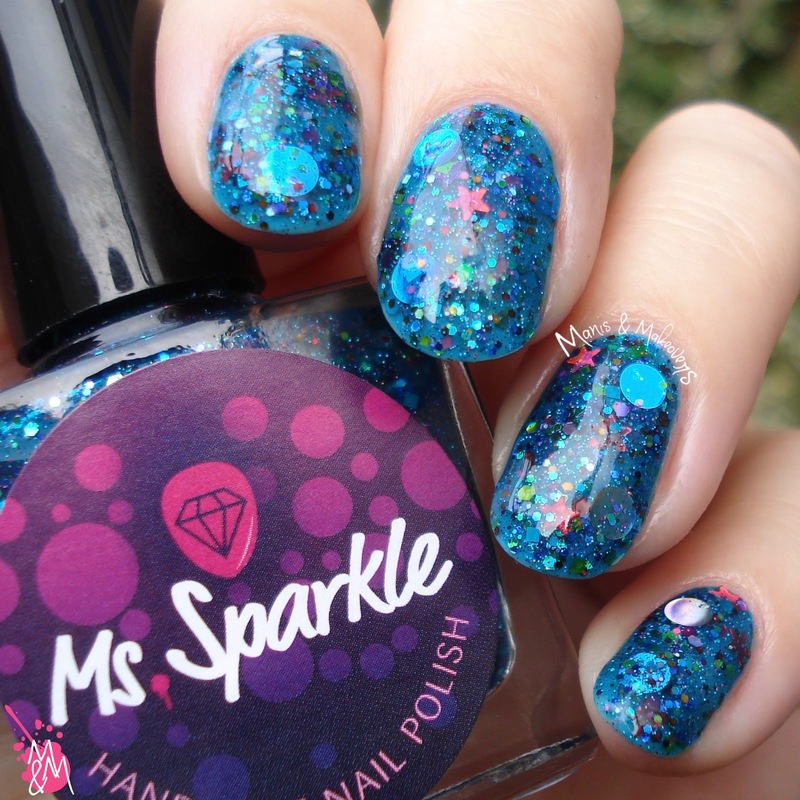 I started out with something I had had in mind with Ms. Sparkle's new gorgeous polish "Yasuko" (swatches are on their way).